Transvaginal mesh has been used as a primary treatment in repairing vaginal damage after childbirth and in treating incontinence. While the number of lawsuits involving transvaginal mesh is on the rise, new research indicates that the use of mesh product offers no variation in cure rates. The study suggests that many women who were injured by transvaginal mesh also didn’t see any remedial medical benefit. Injuries caused by transvaginal mesh are known to be severe. Our Massachusetts transvaginal mesh attorneys are dedicated to helping the victims of dangerous medical products. We are also committed to staying abreast of topical issues in this area, including research surrounding the benefits and dangers of medical devices. According to the Georgetown University study (published in the September issue of Obstetrics and Gynecology), there were no variation in cure rates between those who did and did not have transvaginal mesh. Researchers followed the cure rates for 65 women who were being treated to repair vaginal prolapse. Thirty-three of these women had transvaginal mesh and 32 of the women did not have transvaginal mesh as a form of treatment. According to reports, the study was cut short because of a 15.6 percent mesh exposure rate. Still, after three years of following up on the patients, there were no substantial improvements observed in any of the subjects and no variations between the treatment groups. According to patient advocates, the pharmaceutical companies promoted the use of transvaginal mesh without informing consumers of the high risk of potential injury. These companies have put consumers at risk to make a profit, even without demonstrating that the product was actually providing a benefit. Transvaginal mesh was approved in an expedited process known as FDA’s 510(k). Through this process safety and efficacy tests are not required. Products that are approved are often high-risk and controversial because companies are not required to demonstrate that the products are safe or effective. Since the approval of the product, there were thousands of women treated with transvaginal mesh implants. Since the defective design has come to light, over 50,000 lawsuits have been filed against the pharmaceutical companies and manufacturers of transvaginal mesh. In 2008, the Food and Drug Administration (FDA) finally introduced a Public Health Notification calling attention to the serious risks associated with vaginal mesh. Prior to transvaginal mesh, treatment options focused on anti-incontinence surgery and other invasive procedures. The shift towards transvaginal mesh as a treatment resulted in higher rates of complications. 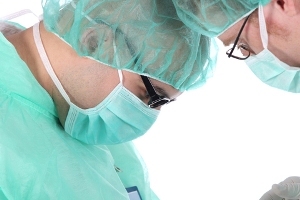 Medical researchers have also pointed out that performing mesh procedures where there is less regulatory oversight could negatively impact the quality and effectiveness of care. While it is often repeated that “medicine is not a science” producing medical device products should involve a scientific method of screening and testing to ensure that the products are safe for use. As these studies highlight, consumers were not only the victims of dangerous products, but they were sold a product that was not proven for efficacy. Victims of defective product and design are entitled to significant compensation and any victims of transvaginal mesh injury have the right to come forward and collect damages. If you are the victim of transvaginal mesh injuries in Massachusetts, call the Law Offices of Jeffrey S. Glassman for a free and confidential appointment — 1-888-367-2900.